Second edition of TEDx GolfLinksPark is being hosted on the 23rd of March 2013 at Embassy Golf Links Park. This event plans to bring together best of the minds who use Internet, Design, and Computing as their playground. This will be attended by over 100 folks (both tech and non-tech). We have thought leaders and speakers who will share their stories from different disciplines (tech, social, arts/design, entertainment) and the focus is on featuring individuals working in the crossroads of cutting edge technology and making a social impact. Crossroads mean that there are paths to be chosen. Paths trodden before. Some prefer the crazy adventure of the unbeaten track and some decide to make their own, questioning the existing ones. All paths hold the promise of possibility. Here's a bunch of individuals who have made a positive impact to lives of many through their incredible journeys. Let's listen to their life stories, and open our minds to the possibilities; unlock a thousand thoughts at once or a single great one. TED is a nonprofit organization devoted to Ideas Worth Spreading. Started as a four-day conference in California 26 years ago, TED has grown to support those world-changing ideas with multiple initiatives. At TED, the world's leading thinkers and doers are asked to give the talk of their lives in 18 minutes. Talks are then made available, free, at TED.com. TED speakers have included Bill Gates, Jane Goodall, Elizabeth Gilbert, Sir Richard Branson, Benoit Mandelbrot, Philippe Starck, Ngozi Okonjo-Iweala, Isabel Allende and former UK Prime Minister Gordon Brown. Two major TED events are held each year: The TED Conference takes place every spring in Long Beach, California (along with a parallel conference, TEDActive, in Palm Springs), and TEDGlobal is held each summer in Edinburgh, Scotland. TED’s media initiatives include TED.com, where new TEDTalks are posted daily; the new TED Conversations, enabling broad conversations among TED fans; and the Open Translation Project, which provides subtitles and interactive transcripts as well as the ability for any TEDTalk to be translated by volunteers worldwide. Truly inspiring speakers at #tedxglp triggered my mind with ideas for the rest of the day. How about gifting yourself a ‘day’? Smart minds, incredible talks and loads of power packed success stories that will inspire you to bring about change in peoples’ lives through the amalgamation of technology and design. 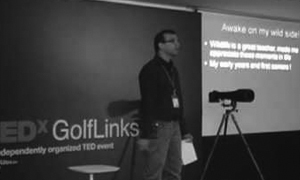 The TEDx Golf Links team brings to you, an event filled with themes around technology, entertainment and design. Eminent speakers from varied walks of life, will share their experiences and take you through their journey and tryst with technology. Make the most of this opportunity with thought provoking discussions with the speakers. This event takes place where some of India’s brightest work - Embassy Golf Links Park. Get inspired and make your ‘day’! 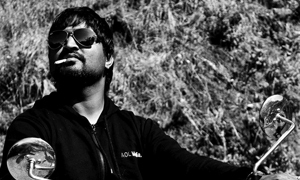 Sandeep Sangaru is a multidisciplinary designer, educator, entrepreneur and a nomad by nature. 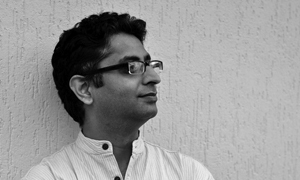 He studied Industrial design and has specialised in Furniture design from the National Institute of Design, Ahmedabad with a background in Mechanical Engineering. 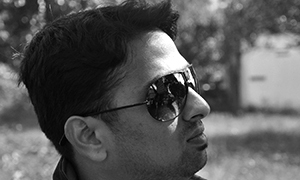 He owns Sangaru Design Studio, a multidisciplinary design consultancy firm and founded Sangaru Design Objects Pvt. Ltd, a manufacturing company based in Bangalore, India. Being multidisciplinary, Sandeep explores different Mediums and Materials. Since inception his studio has been actively involved with the Craft Sector working with local people with local material to create global products as this is exciting and creatively satisfying. Craft has always been a need based process from ages and using design to interface the skills of the artisans is something he wants to work towards. Sangaru Design Objects Pvt. Ltd. designs, manufactures and markets furniture, products and accessories for contemporary urban Home, Work and Play, which will “bring together traditional knowledge & skills in crafts with design and technology to make objects of daily use invaluable, accessible and enjoyable”. Apala is an award winning designer (International Audi Design Award) and specializes in the area of Cross Cultural Innovation and Design. 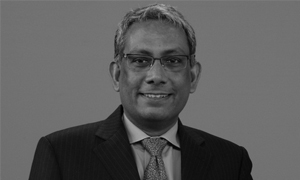 Apala has taken on a new role recently in HFI as Chief Oracle and Innovator. 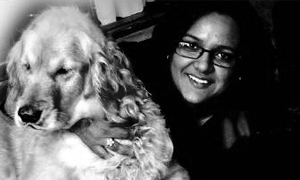 Apala and her Contextual Innovation team have helped designers, marketers, product managers, and ethnographers in Fortune 500 companies apply her innovative techniques to develop exciting new concepts and products. She systematically guides the ideation process to uncover subtle patterns in ethnographic and market data to reveal the exciting breakthrough ideas that can drive business and generate more revenue and profit on the one hand, and improve quality of life for users on the other hand. Recently, her focus has been on the emerging markets. She has co-edited a book on this subject, Innovative Solutions: What Designers Need to Know For Today's Emerging Markets. 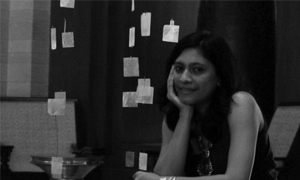 Sneha Iype Varma is the Executive Producer and Founding Partner of Nirvana Films. She started her career in 1997 with Ogilvy as a film executive and later joined Trends Ad-Film Makers as a Director. Sneha took on the role of Producer and partnered with director Prakash Varma in 2001, to form Nirvana Films. Nirvana has made films that have appealed to large audiences and have been received with great appreciation by the Indian and international advertising industry. Nirvana has won several reputed awards in the past few years, including Gold and Silver at Cannes Lion and The London International Awards. 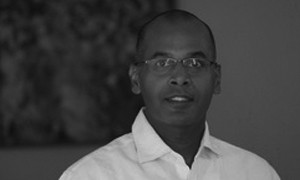 PR Ganapathy is Chief Operating Officer at Villgro, an incubator of early-stage for-profit social businesses. He is also a Senior Advisor to Teach For India. Prior to Villgro, Ganapathy has held different leadership positions at corporations in India and in the US, where he lived for many years. He also co-founded and led a venture-funded financial information company. 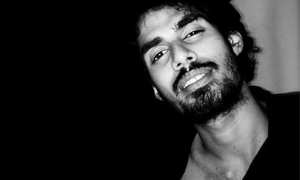 Ganapathy considers himself an amateur dabbler in new experiences. He has written spy thrillers, the first of which was published last year. He is also a pilot, with over 200 hours of flying experience. He counts squash, rowing and golf among his current interests. 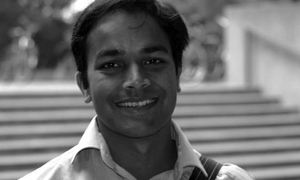 Ganapathy has an MBA from IIM, Ahmedabad, and an Honours degree in Mathematics from Hindu College. He lives in Chennai. 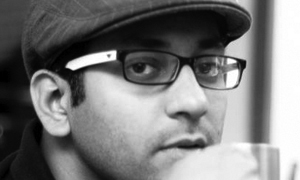 Prior to drinking the start up cool-aid, Tushar helped initiate Government of India's Unique ID (UID) project for almost two years. While at UID, he advised the Chairman, Mr. Nilekani, on project strategy, besides working on various business development aspects of the project. 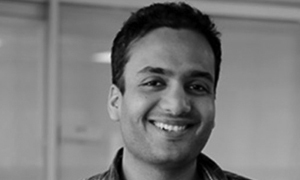 Before UID, Tushar spent nearly three years in investment banking/corporate finance with Deutsche Bank, spread between Silicon Valley and Singapore. He started his career on Wall Street with BlackRock. 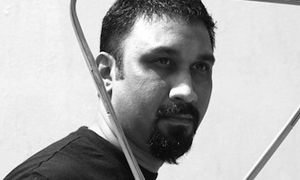 Tushar graduated from University of Pennsylvania in 2007 with a Bachelor of Applied Sciences, majoring in Computer Science with a minor in Electrical Engineering. While the UID project will likely bring about a lot of good to Indian residents, one big negative impact it had was Tushar's tremendous weight gain! But he worked hard over the last one year to lose most of it. Losing 18kg wasn't easy, especially without any gym access; and he owes a lot of it to friends' guidance and support. He now wants to replicate a similar experience and more for others through his startup. 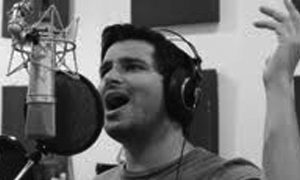 Tushar is also a passionate musician/singer and loves to write and record songs in his free time. 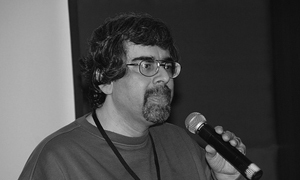 Arguably one of India's best known technologists, Atul Chitnis has been at the forefront of India's technology evolution since the 1980s, predicting and driving new technology waves such as data communication, networking, the Internet, wireless and mobile computing, and Open Source, among others. His focus areas include mobile and hand-held computing, wireless data networks, Linux and Open Source Software, virtual communities, technology convergence (including Voice over IP and entertainment oriented technologies such as Internet Radio), and the identification and understanding of future technologies. 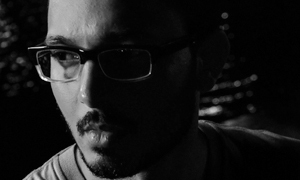 Vipul Goyal is an Electrical Engineering graduate from IIT Bombay. Fresh out of college , he worked as a retail analyst in Adventity Inc. for 6 months , but soon realized that his heart was in H.R. (HUMOR Resources). He mixed Laughs & Entrepreneurship and soon founded the most Unique HR firm “Humorously Yours” which has since been pioneers in Stand Up Comedy & Entertainment Shows. On 21st January, 2012 ten eminent speakers from varied walks of life, shared their experiences and took us through their journey and tryst with technology, entertainment and design. The theme was "creative sparks, leading change". The response was great and many calling it one of the best organized TEDx in Bangalore! View photographs of the event on Flickr . 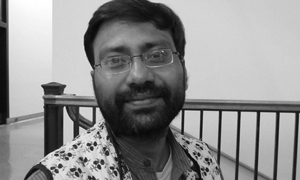 Tathagat Varma, ex-Computer Scientist with Defense Research and Development Organization, was youngest member of the 13th Indian Scientific Expedition to Antarctica in 1993-95. As part of the expedition, he stayed at the Indian permanent station “Maitri” for 16 icy-cold months, and carried out scientific experiments in HF Radio based Data Communication and studied various engineering systems required to sustain human life and activity in the notoriously tough environs of Antarctica. In this talk, he shares some of his unique experiences of how human behavior is challenged and stretched under extreme inhospitable conditions of Antarctica. He also shares insights into sociological impact that comes with such long-term isolation. 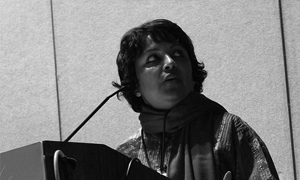 Aradhana Goel, Director for IDEO India, handles strategic partnerships and program development in the region. She brings deep experience in architecture, urban design, and service innovation to her work. She is dedicated to understanding people’s behaviors, how they collectively influence social patterns, and how these patterns — coupled with technology and business constraints — can inform new products, services, environments, organizations, and systems. 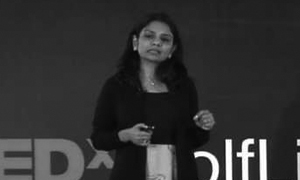 At IDEO, Aradhana has worked with large product and service companies in the United States and India to help them sustain and differentiate themselves as they pursue growth. Amit Sharma is a wildlife photographer by passion. With over 10 years of experience in photography and wildlife images from forests across the world, Amit is a well known name among wildlife aficionados. He uses his images to spread awareness about the wild and to contribute to its conservation. Tigers and tiger conversation remain subjects closest to his heart. He is driven by adventure, the idea of capturing the marvels of this universe with his camera and the aspiration to spread the magic of wild. His images speak volumes of his rendezvous with the wild. From the majestic Tigers of Corbett, to the intimidating crocodiles of the Masai Mara, to the incredible elephants of Botswana; there is no end to the thrills of this chosen journey. 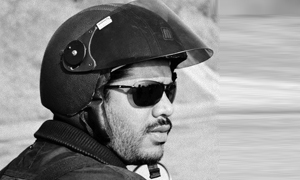 Anshuman is the CEO & co-founder of mygola.com, a travel planning service. He co-founded and sold his first startup (RightHalf.com) while in undergrad at IIT Bombay, seeing it through the first boom & bust on the internet. After his MBA at Stanford, he spent some time selling solar lights in Vietnam and working with an Indian Member of Parliament before returning to New York to work with Deloitte, then Google. 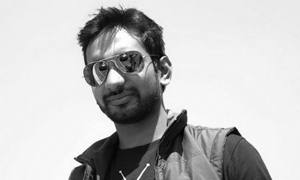 He moved to Bangalore two years ago to get back to being an entrepreneur. Anshuman is passionate about traveling, claiming to his credit both being chased (by a machete-wielding thug in Chile) and giving the chase (to a lioness in Gir forest) during his travels. CVs are an anathema for us. How do I describe myself .its difficult especially at this age when so many things do not really matter except of course the feeling of doing a just work. “Just ” meaning right and correct…. 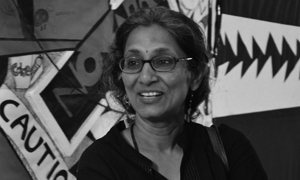 She is one of the few women in India who has an independent practice in architecture. This is not very common since women architects are either married to architects or working on interior design. Her practice has also been different because she has steadfastly worked on ecological architecture. Now it is no longer self owned practise but a team of like minded architects and engineers who work on sustainable designs of all kinds- houses, work spaces, resorts and temples even. Dr. Sridhar Mitta, aged 65 years, is the Managing Director and Founder of NextWealth Entrepreneurs Private Limited, Bangalore, India. NextWealth has developed a distributed delivery model to provide Information Technology related jobs to graduates from small towns. The innovative business model provides value to small town graduates and customers and reverses migration to cities. 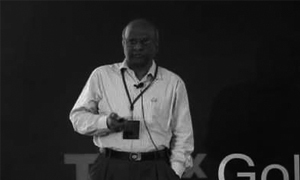 Dr. Mitta was the Managing Director of e4e India during 2000 to 2010. Prior to e4e Dr. Mitta was with Wipro Information Technology business since its inception in 1980. He was the first employee and played key role in Wipro achieving technology leadership. He pioneered global delivery of outsourced product development services. Wipro became the highest valued company in India during his tenure. Ravi Venkatesan is the former Chairman of Microsoft India ; under his leadership from 2004-2011, India became Microsoft’s second largest and one of its fastest growing geographies; Microsoft India has been consistently rated amongst the Best Employers and the Most Respected Companies in India. He was recently voted the Most Influential MNC CEO for 2011 by the Economic Times. 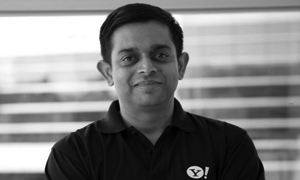 Prior to joining Microsoft, Venkatesan worked for over sixteen years with Cummins Inc, the world leader in engines and related technologies. As Chairman of Cummins India Limited, he oversaw the transformation of Cummins into the leading provider of power solutions and the largest manufacturer of automotive engines in the country. India has become a strategic hub for Cummins contributing over 20% of global profits. Venkatesan has a BS in Mechanical Engineering from the Indian Institute of Technology, Bombay (1985), an MS in Industrial Engineering from Purdue University (1986) and a MBA from Harvard University (1992) where he was a Baker Scholar. 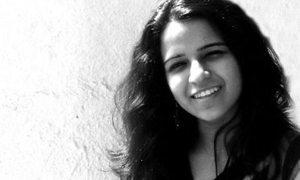 Shubhranshu Choudhary is a Knight International Journalism Fellow and the founder of CGNet Swara. 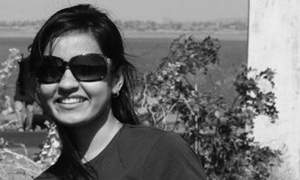 Shubhranshu was a BBC South Asia producer for more than 10 years. He serves as a media trainer for theBBC World Service Trust, the United Nations and Indian universities.He produced the first television coverage of foreign militants operating in Indian Kashmir and conducted the first television interview with the chief commander of Kashmiri militant organization. He was also a reporter for The Guardian’s South Asia bureau for two years. 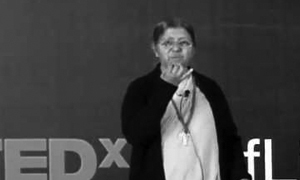 Sr. Adele Korah provides counseling to prisoners, admits the prisoner’s children in a residential school. She emotionally supports and uplifts the spirit on the inmates and is compassionate. Thus helps to rehabilitate the released prisoners. Team of passionate volunteers who bring TEDx Golf Links Park to life. Yahoo! India R&D has established itself as a center for innovation and excellence in the industry and is Yahoo!’s second largest R&D center in the world.Established 10 years ago, this center in Bangalore works with the mission todeliver product and technology innovation that create a significant business impact globally. Some of the most successful Internet technology products for both the global and emerging markets, come out of here. As you read this, the team at this innovation hub is channeling its passion into inventing the Internet of the future. Yahoo! Entrepreneur Network (YEN) has been formed with a goal to nurture and tap into the ecosystem of innovation and start ups. Our programs engage various stakeholders like partners, startups, developers, academia, investment community and trade bodies. Our programs like Open Hack Days, HackU (which is a university hack competition), Innovation conference, business plan competitions, startup mentorships, roundtables, partnerships for technology and market acceleration have received great support from everyone. The vision of YEN is to help build a culture of “winning together” in this region. Y! Design is responsible for innovating and designing products that are meaningful for our end users and ones that engage and delight them. We focus on creating that “wow” experience that actually touches a user’s heart. Y! Design team works on products that span from media sites like Yahoo! Cricket, OMG to business applications that are used by consumers and advertisers. This group also takes care of accessibility requirements that help users with special needs to use our products.